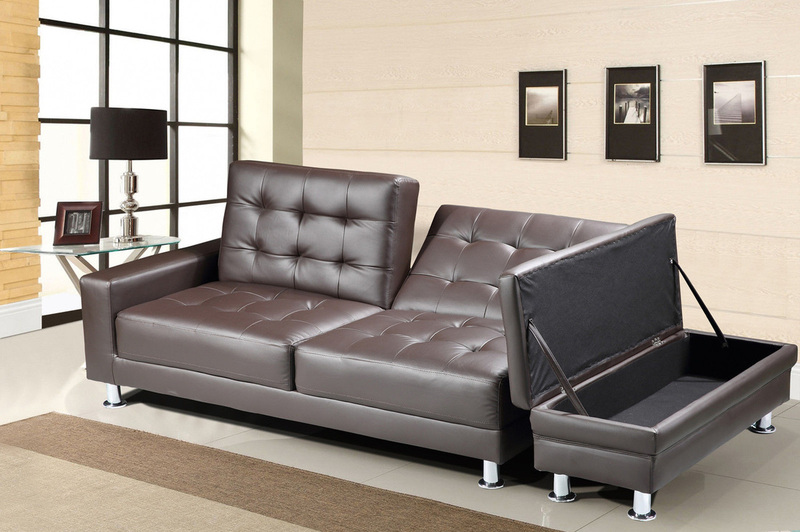 A classic new design supplied with a useful Ottoman storage unit, this beautifully designed sofa bed by exclusive brand 'Hi 5' is the most versatile sofa bed on the market. 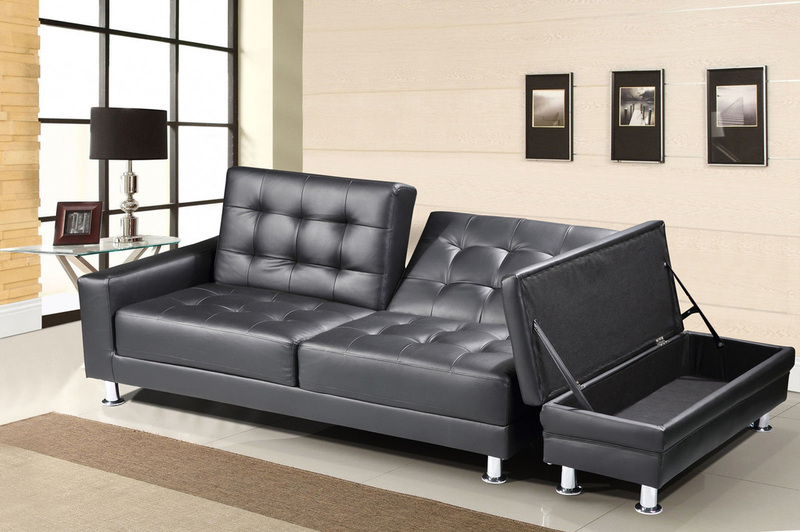 The Supreme sofa bed converts into a bed in seconds utilising the ingenious & unique click-clack mechanism. 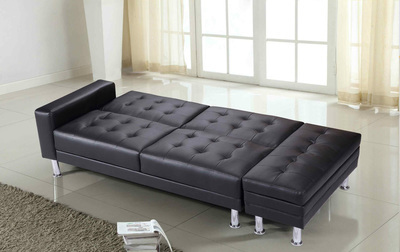 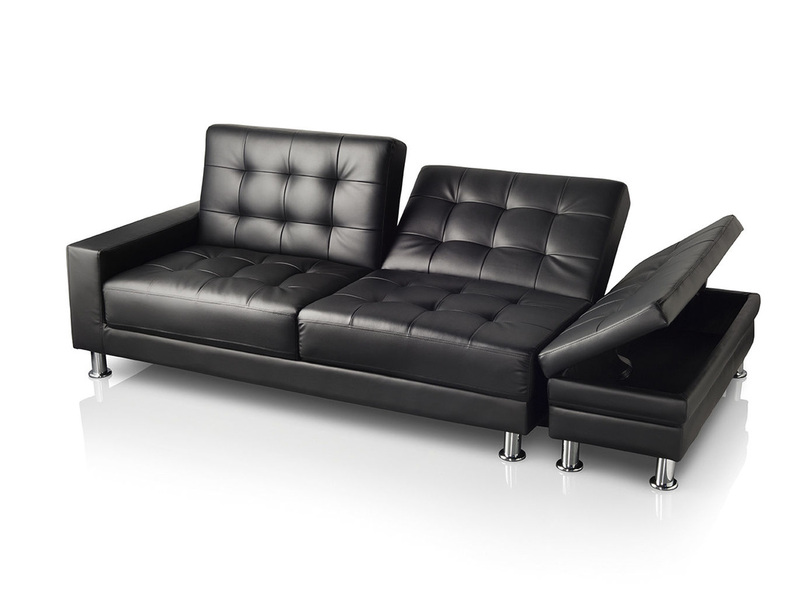 The sofa bed is finished with soft quality faux leather and modern polished chrome feet. 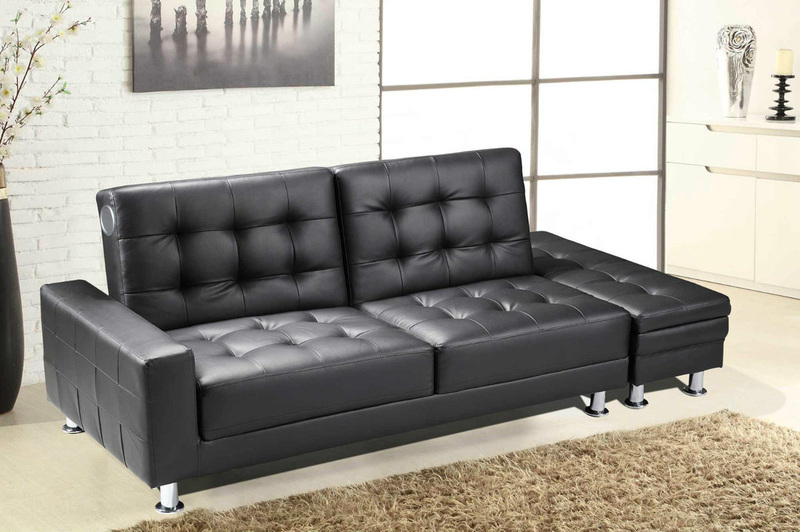 This Sofa bed is popular with all ages & suits all decor & styles of home making this one of the firm favourites within our range & a popular choice with many happy customers to boot! 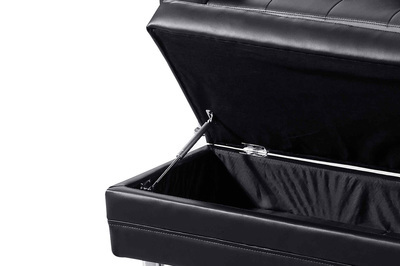 The Ottoman storage unit not only helps hide away newspapers, magazines, toys or just general clutter it also doubles as a footstool, allowing you to kick back & relax! 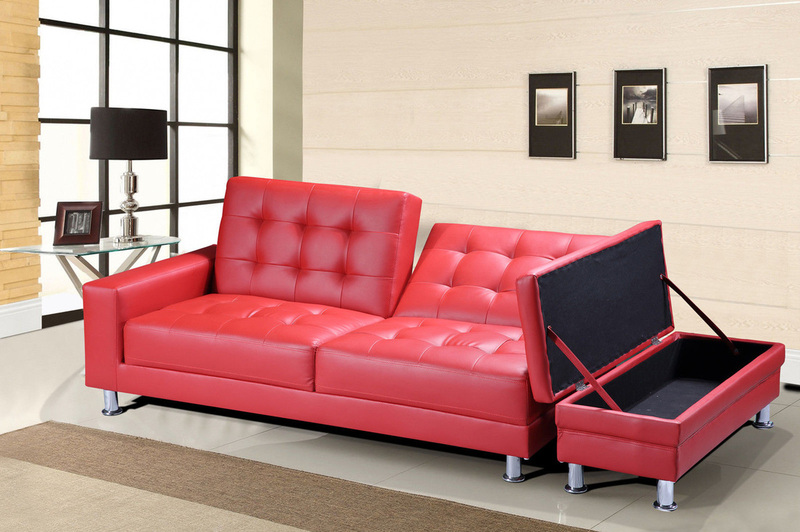 The ottoman storage unit when put alongside the sofa as a converted bed also extends the length giving even more sleeping space. 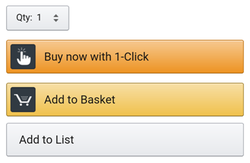 A great product & unrivalled in ours & many of our customers opinion. The Supreme Sofa Bed is now available with built in 60 Watt Bluetooth speakers & Aux Socket & cable. 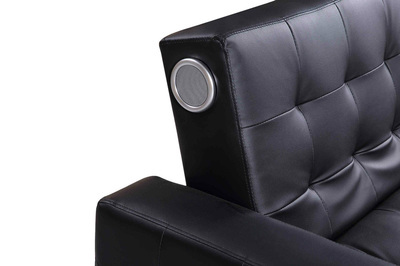 Simply plug into a 230v socket with the plug provided, pair up or plug in your device to the sofa bed, sit back & listen to your favourite tunes!